for the price of 500! That's only $99.00 inc GST! Terms: Order must be made between 13/01/14 & 28/2/14. One order per customer. Customer must be based in Cranbourne, Victoria. Artwork is not included and will be charged at $66.00 inc GST. Business cards are printed full colour single sided on 400gsm card with matt or gloss celosheen to single side. No alterations permitted. 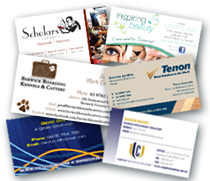 Regular price for 1000 business cards $132.00 inc GST. 50% deposit required upfront. Balance due on delivery. Please reference code CDP011401 to claim this offer. Terms: Order must be made between 13/01/14 & 28/2/14. One order per customer. Customer must be based in Cranbourne, Victoria. Flyers are full colour single sided on 150gsm gloss. 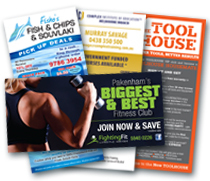 Regular price for artwork for single sided DL flyer is $77.00 inc GST. No alterations permitted. 50% deposit required upfront. Balance due on delivery. Please reference code CDP011402 to claim this offer. Terms: Order must be made between 13/01/14 & 28/2/14. One order per customer. Customer must be based in Cranbourne, Victoria. Pens are BIC Clic Stic. Artwork is included in this price. Single colour, single position print. No alterations permitted. 50% deposit required upfront. Balance due on delivery. Please reference code CDP011403 to claim this offer. Minimum order 10, or order 500! 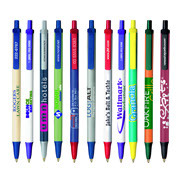 Suitable for giving with orders or deliveries or at receptions or trade shows. Prices based on quantity and filling. Choose from popular Aussie varieties like Minties & Fantales, or mixed fruit & mint selection or request your favourite wrapped sweet. 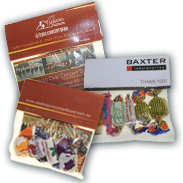 Include your business card in each bag for additional exposure. and quote the unique reference number. All orders include FREE Delivery!